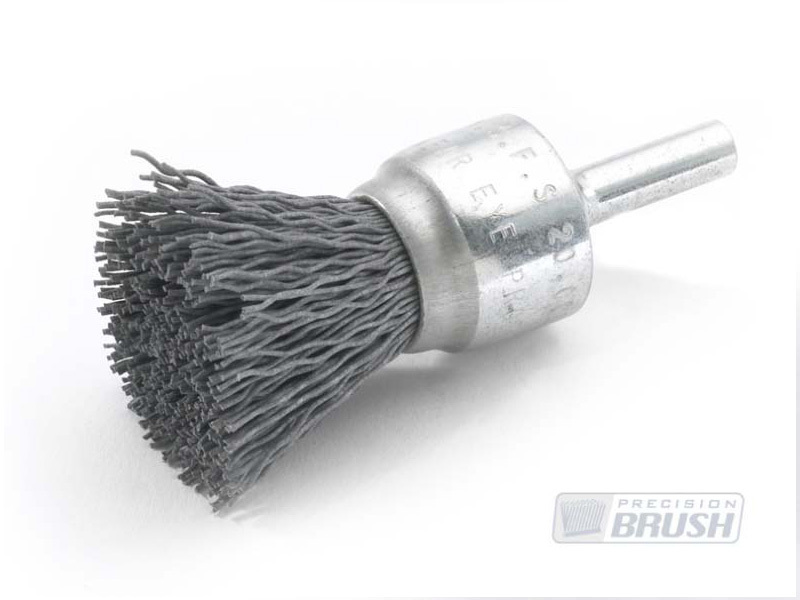 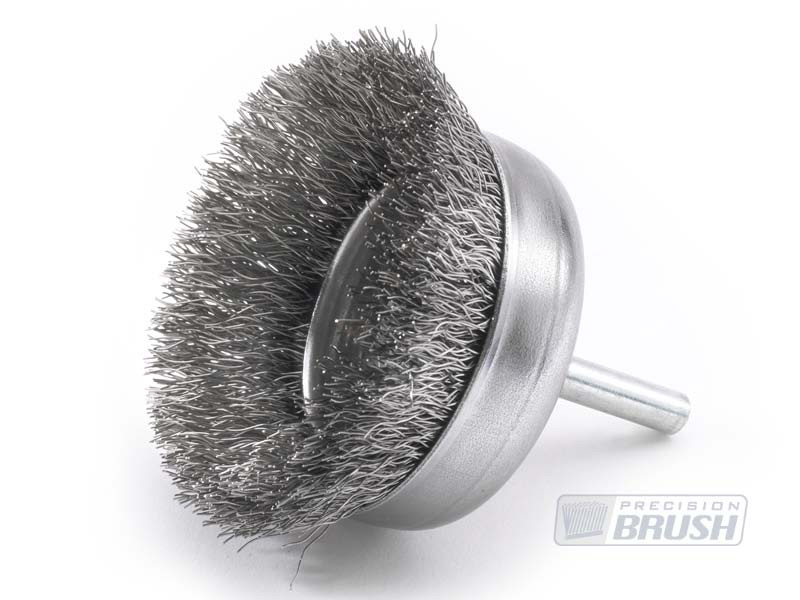 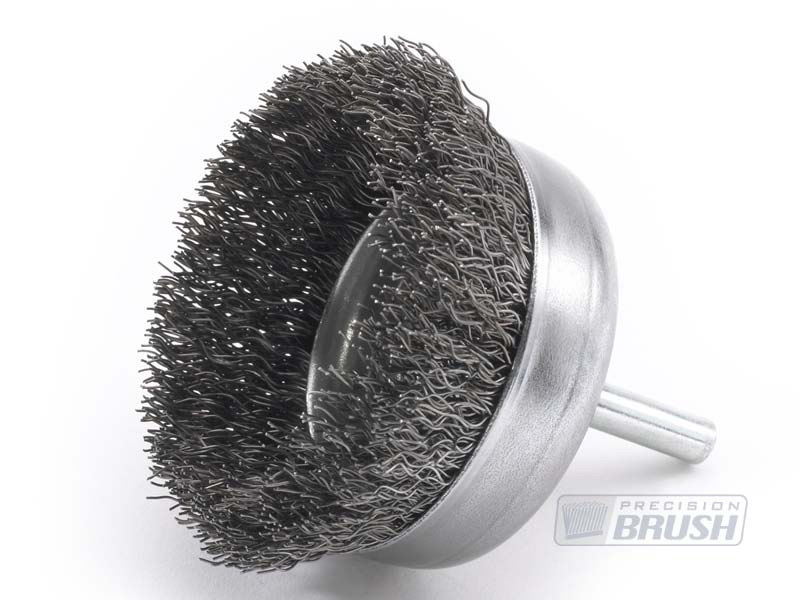 Precision Brush Company’s stem brushes, also referred to as End Brushes, can be used on portable air and electric tools where balance is critical, as in CNC machining centers and robotic use and automated machinery. 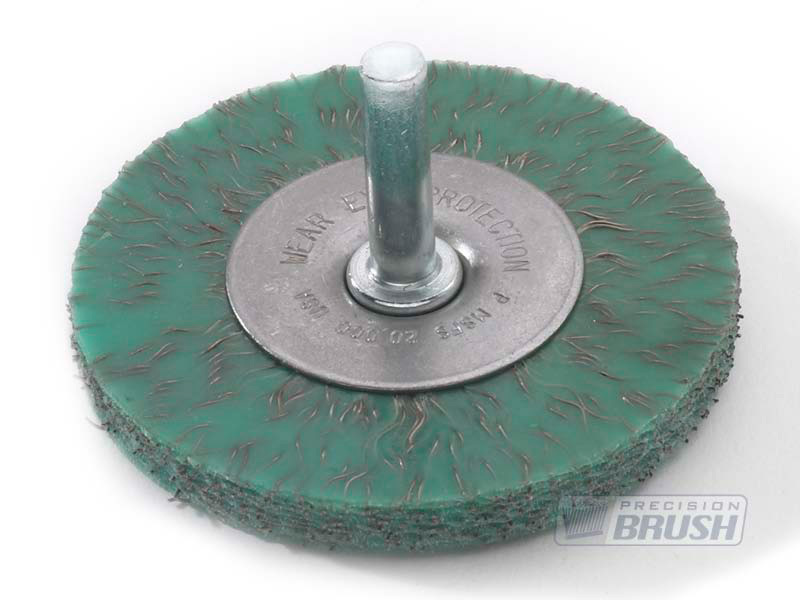 Manufactured with 1/4” mounting shanks, they can be quickly installed in chucks or collets and are designed to work where space limitations are a factor. 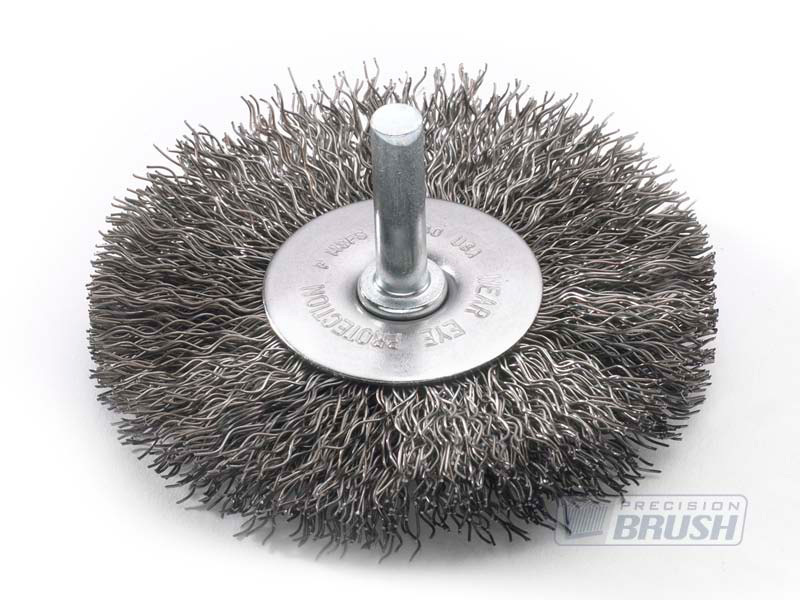 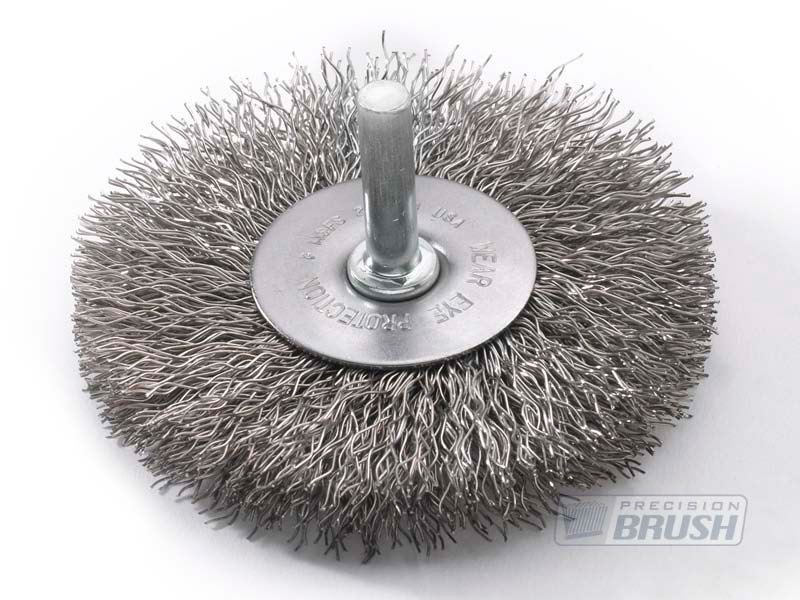 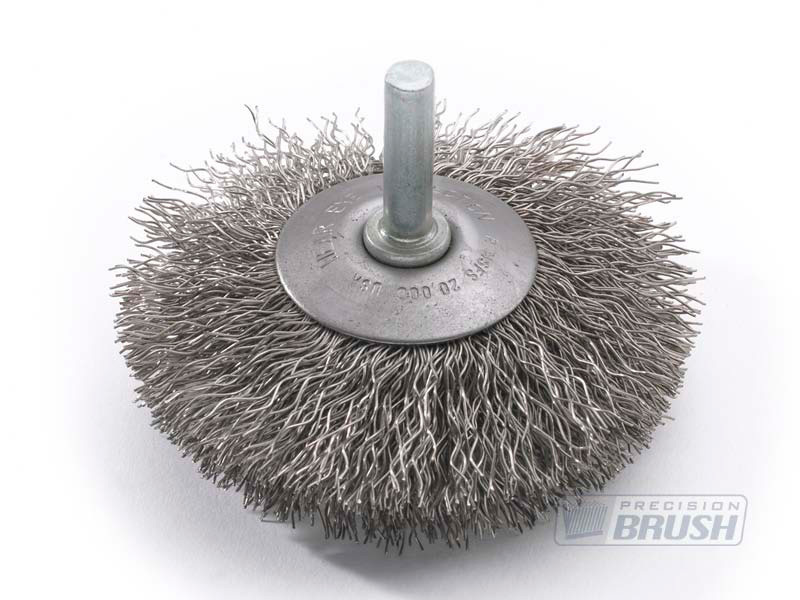 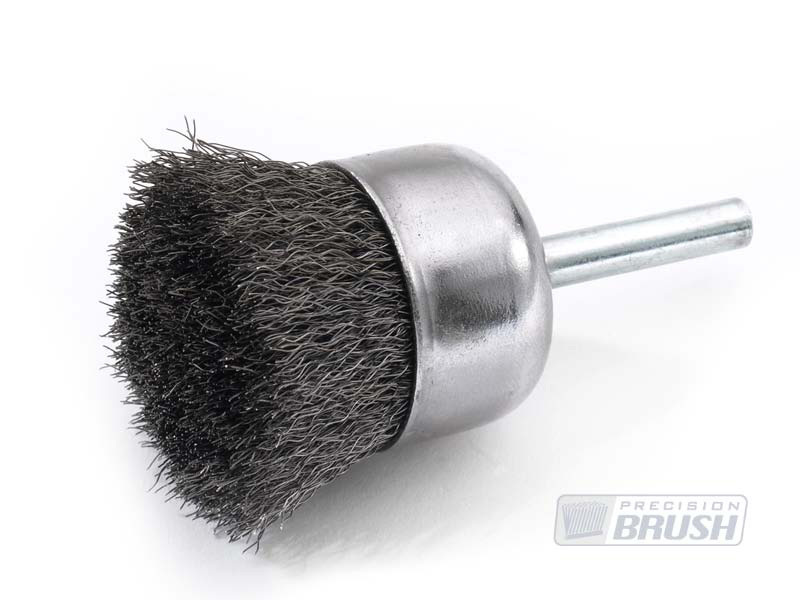 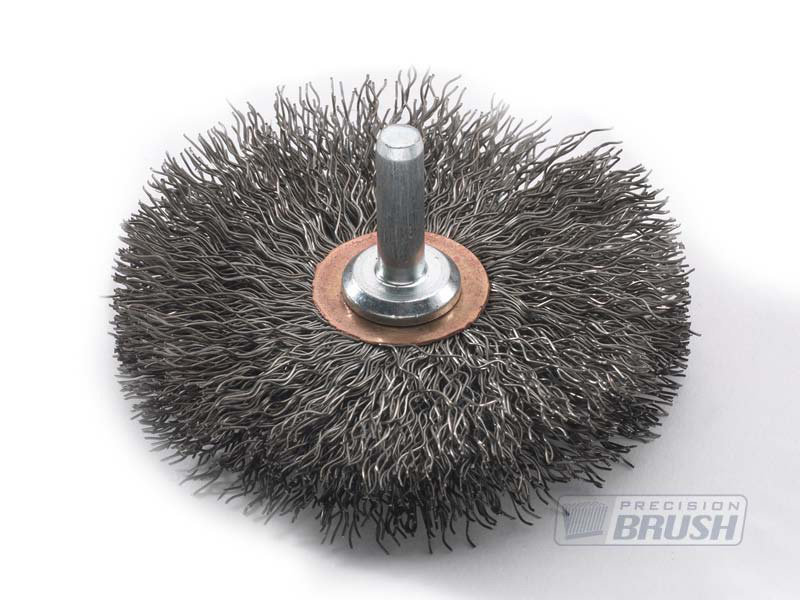 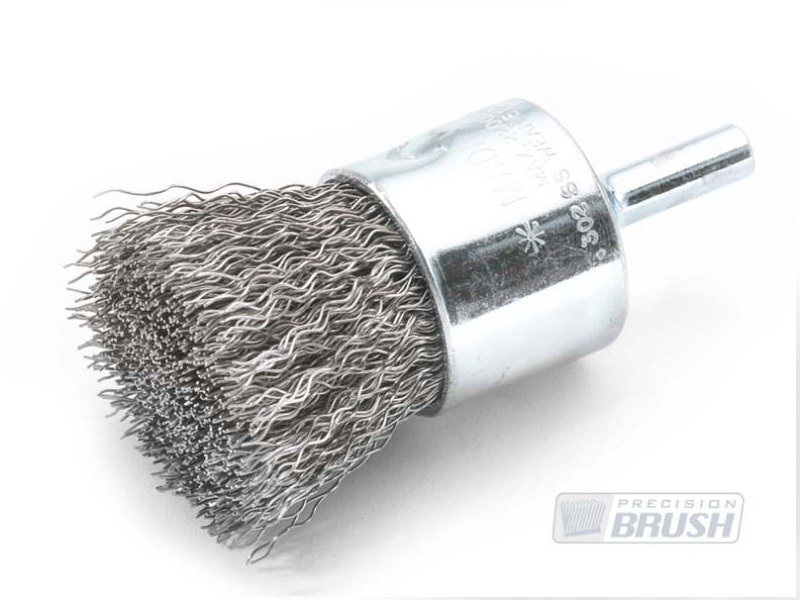 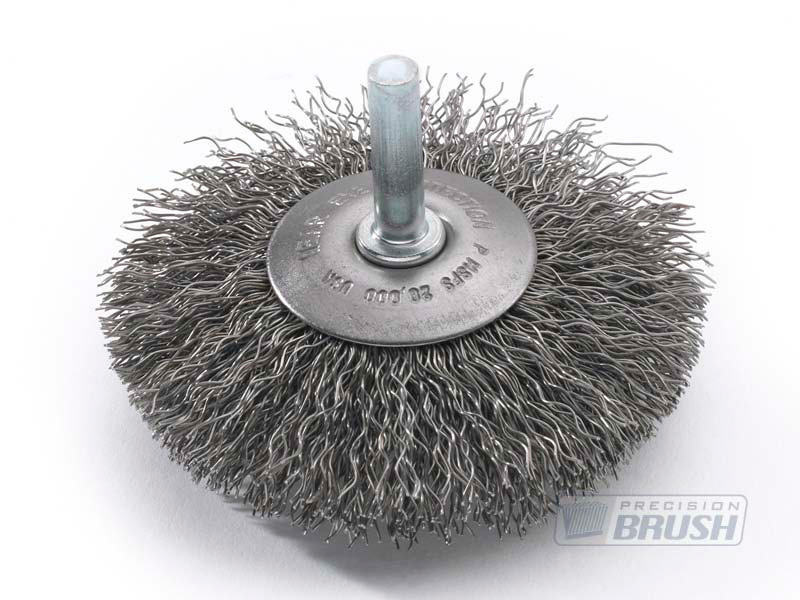 Stem mounted brushes are ideal for polishing, deburring and cleaning metal surfaces. 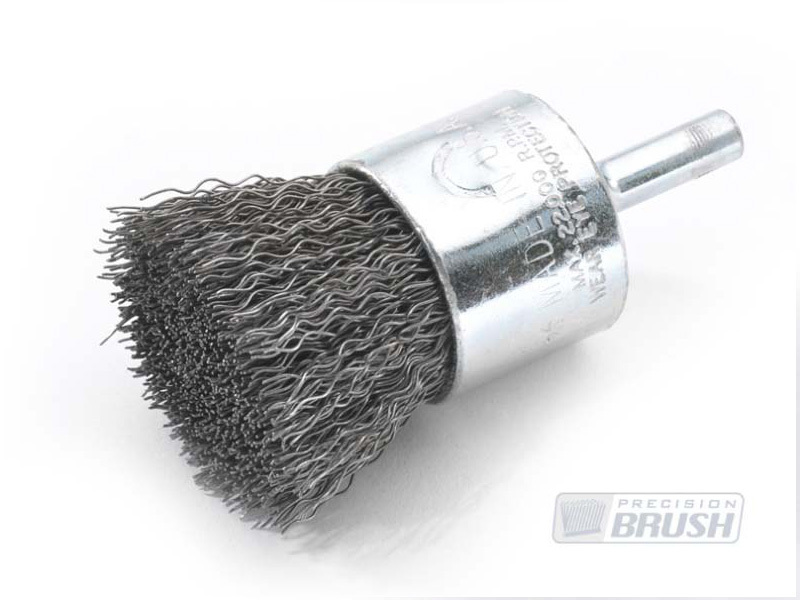 They also work well for cross-hole deburring, blending tool marks and breaking sharp edges. 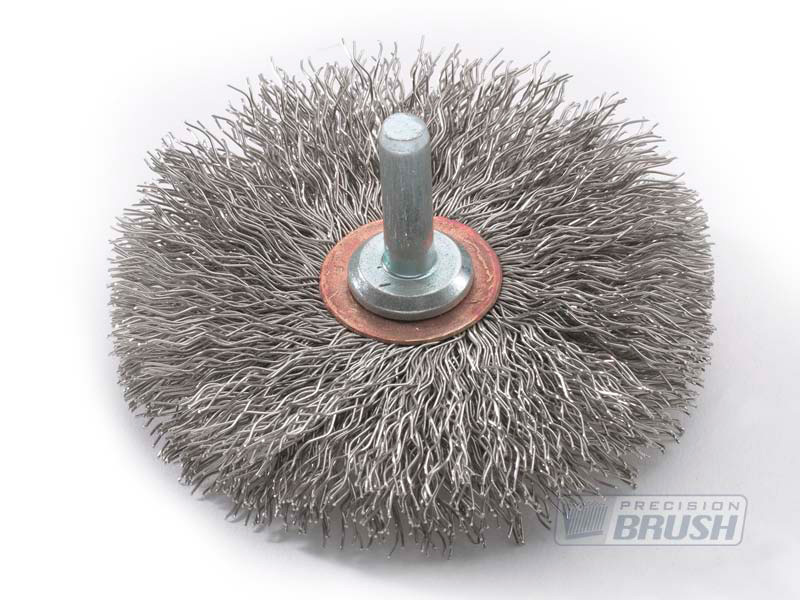 Safety Requirements:Operators must, at all times, observe common safety practices, such as wearing goggles, keeping machine guards in place, observing all speed restrictions, wearing appropriate protective clothing and comply with ANS-B165.1 - 1979 "Safety Requirements For The Design, Care And Use Of Power Driven Brushing Tools."